Want a Healthy Snack? Try Roasted Chickpeas! Chickpeas are an amazing legume with endless possibilities. Not only do they provide us with yummy hummus and are absolutely delicious in soups, they also roast really well. By spending a long period of time in the oven, they get very crunchy throughout, even more so than chips. You wouldn’t think legumes would be very tasty any other way then treated like a bean, but they actually are pretty good when you think outside of the box. They contain a ton of fiber which is great during a busy day or when it is too hot outside to cook. Make a big batch and store in mason jars. You’ll have a readily available snack to just grab which in my opinion is key as a mama. 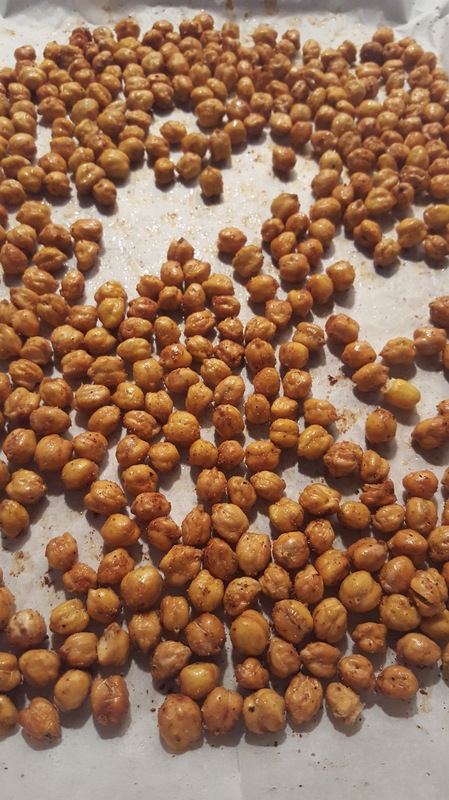 A half cup of roasted chickpeas is around 150 calories, contains tons of protein and insoluble fiber making them fantastic for the digestive system. I’ve had these a few times before and I loved them! You can put any seasoning under the sun on them and they will be amazing. I didn’t list exact measurements because this isn’t a science. It truly is season as you wish and roast. You can add seasoning completely to taste and change up according to time of day, sweet or salty, spicy or savory, the sky is the limit. 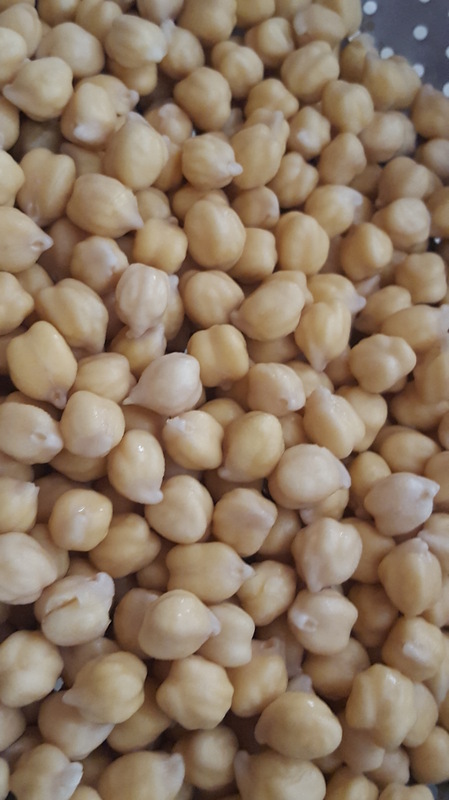 To get started, soak the dry chickpeas overnight in a container full of water. Drain the chickpeas and pat dry with a towel. Spread out over a flat baking sheet lined with parchment paper and roast at 350 degrees. Start at just 30 minutes and increase by 10 minute intervals making sure to taste one in between. Our oven took about 50 minutes. They should be very crunchy with no raw smooth inside. It should be crunchy all the way through. If you would like softer chickpeas, you can roast a little less. I really hope you give this recipe a try! It is a great way to snack all day and grab something that is actually healthy for you. You can try hundreds of different spice blends to come up with different flavors. This recipe is our favorite go to but we’ve also tried cinnamon and sugar by roasting in just olive oil and adding the cinnamon and sugar at the very end. The sugar will dissolve a little bit from the heat of the chickpeas. It is simple to make that even the kiddos can help!